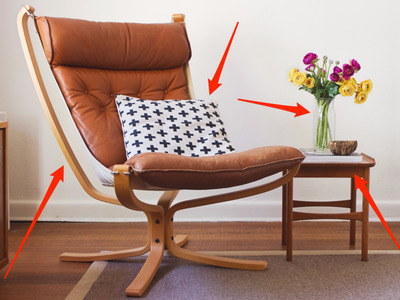 ShutterstockYou can visually search and buy all of these things on Pinterest. You may know Pinterest as the virtual bulletin board where people pin up pictures of their dream outfits, weddings, or homes. 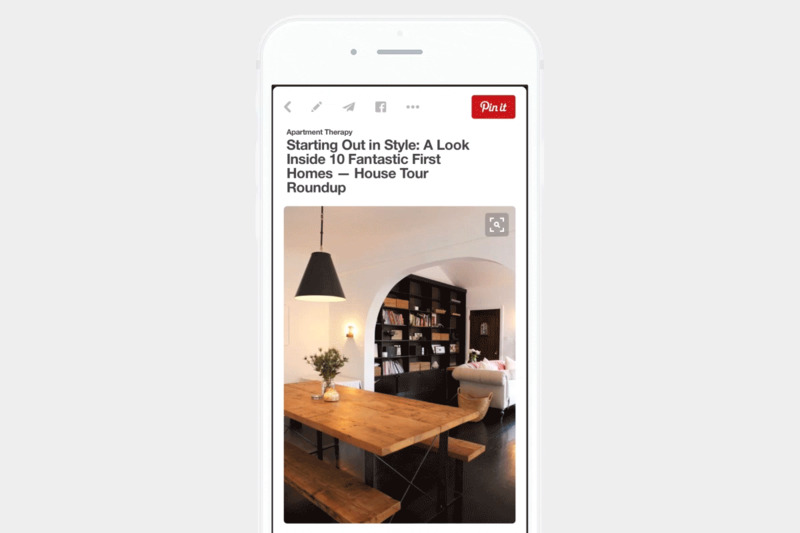 But now, Pinterest could become known for something way more game-changing: a visual search tool that could change the way we shop online. If your eyes just glazed over a bit, you’re not alone. When Pinterest first announced this news back in 2015, I was sceptical of a visual search tool that promised to let you shop every picture on Pinterest. How could that possibly work? Since launching in November, I have to say I’m impressed. So too, it seems, are Pinterest users themselves, who have visually searched over 130 million times every month, a Pinterest spokesperson tells Tech Insider. 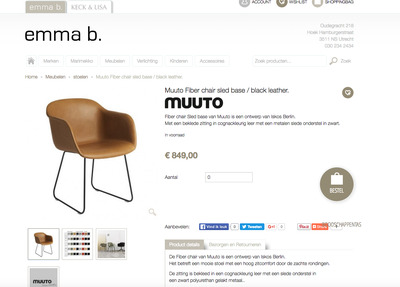 Here’s how this artificially-intelligent tool works: Just tap a search tool at the corner of pins and draw a box around whatever you want to buy, like a lamp, boots, or a similar top. 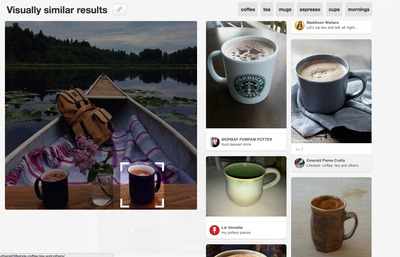 PinterestThe tool is in the top right corner of every Pinterest photo. In other words, you could find virtually identical products, but for a steal. I had to test it out myself. The most visually searched pins so far have largely been for objects in beautiful rooms, so I started by searching this chair. 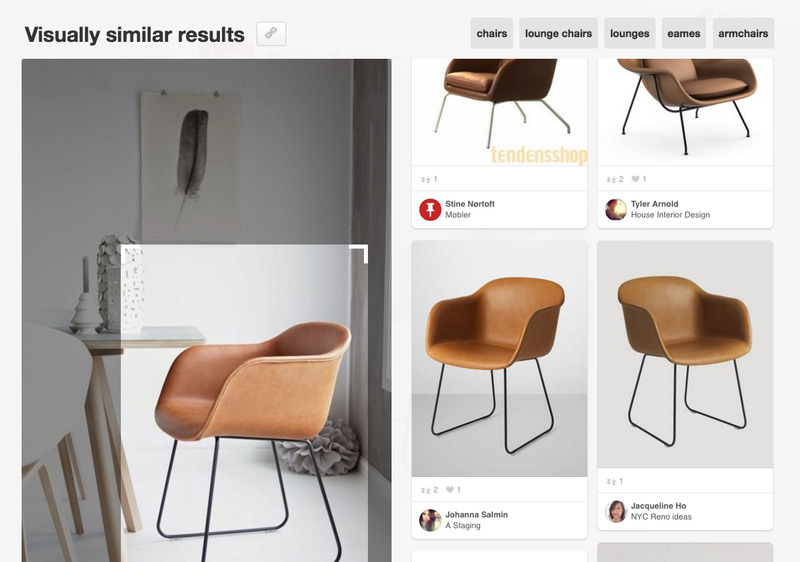 Immediately, Pinterest pulled up nearly the exact same chair in other users’ pins. 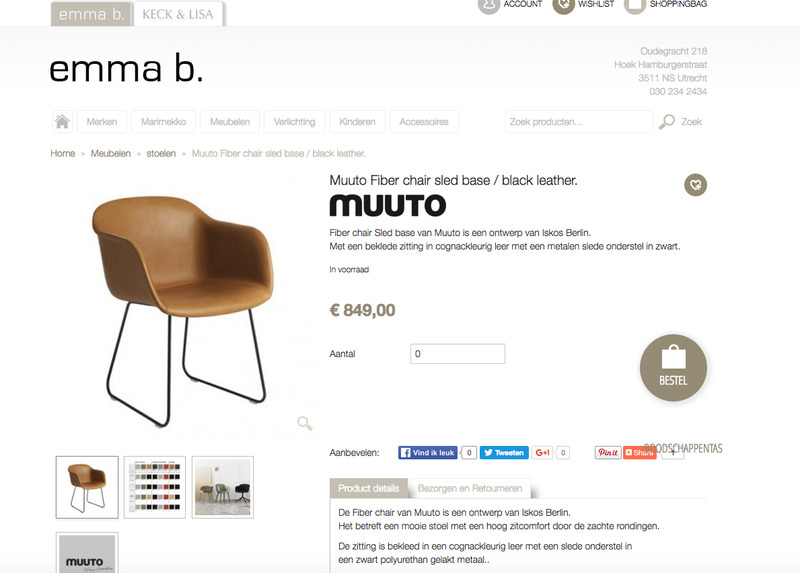 Following one of those pins, I found the chair at a Danish store for €849, or around $960 at today’s exchange rates. Pretty easy. I also tested it with clothes and accessories, which is what I would use the tool for the most. 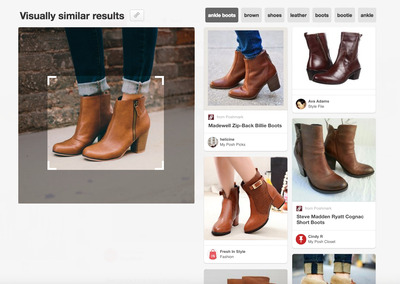 Since I’ve been wanting to find new brown ankle boots, I clicked on a pair of boots I liked on Pinterest. PinterestClose, but not quite right. 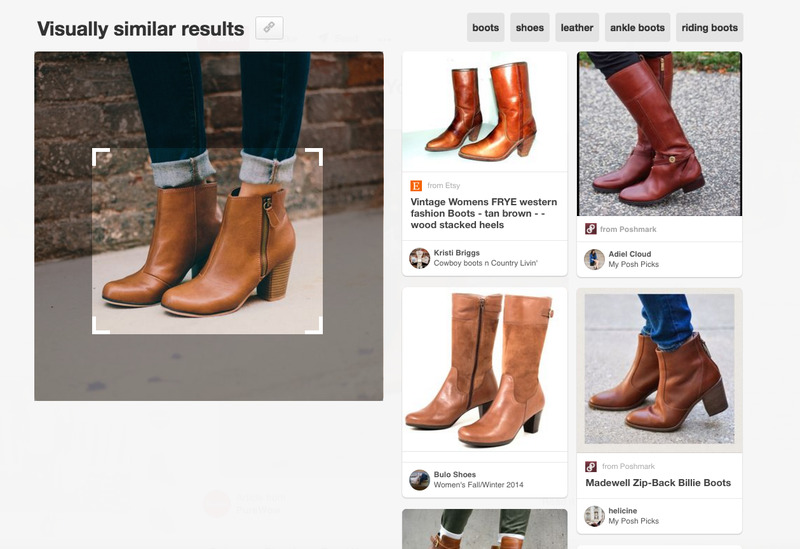 The image search tool pulled up brown boots, but they weren’t ankle boots. There was an option, however, to search just for “ankle boots.” After clicking that, I got the results I was hoping for. PinterestPinterest confused this white vase with striped wallpaper. 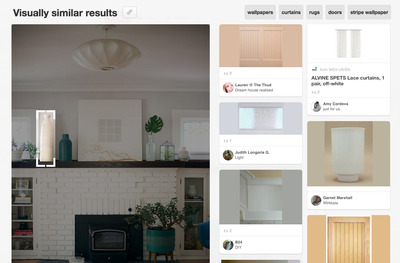 I also wasn’t able to add modifiers to my Pinterest visual search. When I wanted a specific mug in one picture, it pulled up lots of other mugs, but none of them were black. I wish I could’ve added “black” to my search. PinterestThis search wasn’t close at all. But for the most part, I was deeply impressed by the tool. The best use case I could think of would be if I didn’t know the name of what I was looking for. Although it’s easy to Google something, Pinterest cuts out the step of describing the exact product you want to buy, which could be invaluable if you didn’t know the difference between, say, a pendant light and a chandelier. Aside from shopping, Pinterest hopes this tool could help people find recipes, vacation destinations, and more. It also believes the ability to search not only shapes, but colours and patterns are what sets it apart from other image searching tools like Google’s TensorFlow. 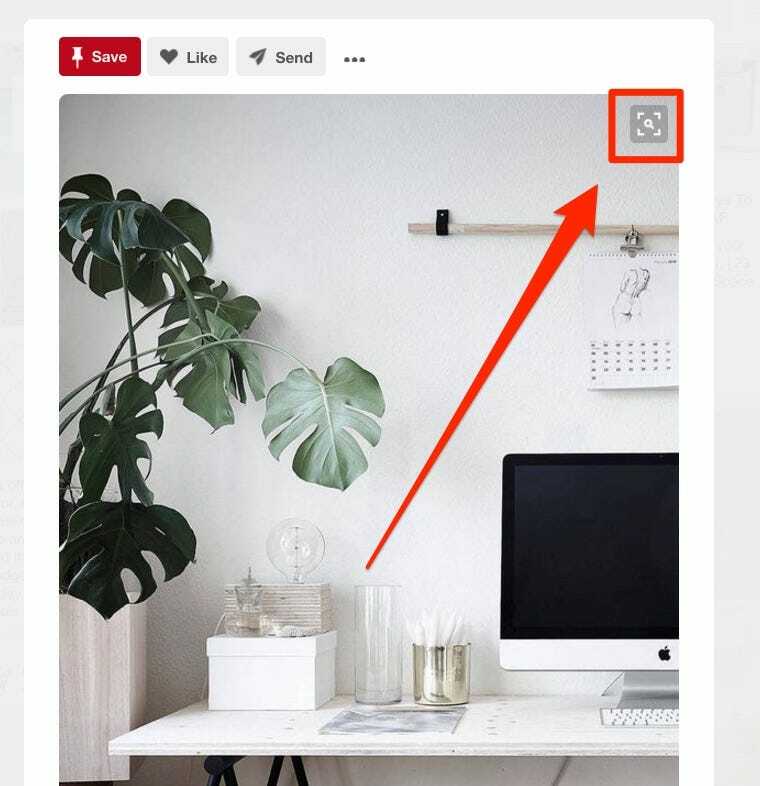 Plus, the tool is already built into the Pinterest app and website, which means loyal Pinterest users don’t need to download any new technology to use this cool feature. After testing Pinterest’s visual search, it looks like artificially-intelligent searching is the future of online shopping, and we should all be excited.